You would have thought that “voluntary school” is a concept with all the future of a chocolate teapot, but at St. Ed’s we beg to differ. Our hugely popular optional Saturday school is in recognition that the halcyon days of double science on a Saturday were no longer in step with current thinking. Family life has changed, with parents happy to surrender their children to the school for the working days of the week, but with the strong view that weekends should be a time for family and relaxation as well as an opportunity for our older children to pursue their own interests outside of school. The great thing about Saturday is it means we can offer activities in much more depth than we could during the week. 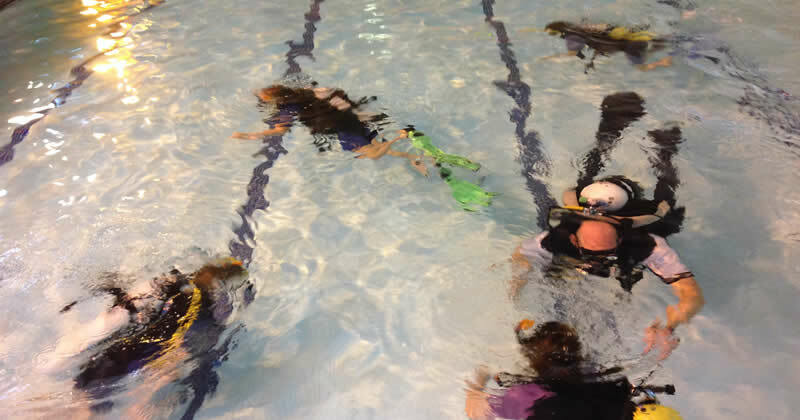 Whether it is scuba diving, model making, archery, climbing or hiking, the children have time to learn new skills. To see a child who may be struggling in class during the week then climb a grade V5 on a Saturday works wonders for their confidence. For our forms 10 and 11, Saturday Activities also provide a valuable platform for academic revision and catch up extension lessons when public exams are on the horizon.